Do you ever have times when you find it difficult to relax due to your overactive mind? Also times when you cannot concentrate on learning something because you have other things on your mind? Sometimes it is not convenient to have this internal dialogue. For occasions like that NLP has borrowed a technique from Hawaii, called the Hakalua which comes from ancient Huna. 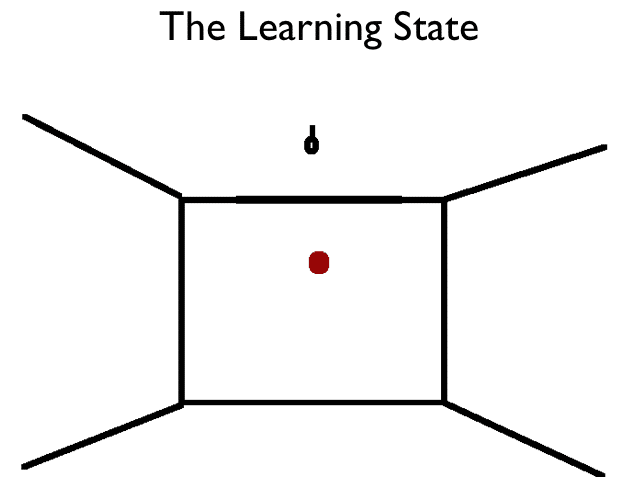 In NLP we call it The Learning State. The Learning State is absolutely sure to help you in a learning environment to concentrate on learning. It is sure to help the knowledge go straight in and to stay there. We teach it to children, and it never fails to help them improve their grades. While facing straight ahead, pick a spot on the wall to look at. Preferably the spot will be above eye level so that your field of vision seems to rest up against your eyebrows, leaving you with full vision. As you stare at this spot just let your thoughts come and go, and focus all your attention on this spot. Notice as you stare at the spot that within a few minutes your vision begins to spread out. Allow it to continue to do that. You begin to see more in your peripheral than you do in the central part of your vision. Now, pay attention to the peripheral. Pay more attention to the peripheral than to the central part of your vision. If you are looking at a wall, begin to notice that you can see the corners of the room, the ceiling and the floor, all without moving your eyes. As you stay in this state, notice how you feel, notice what you can see. In our NLP e-Learning section you can benefit from video and audio instruction in this and all areas of NLP.